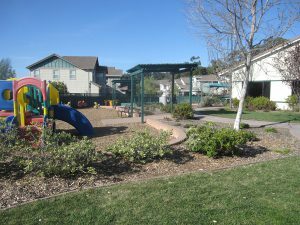 The Montessori School at Five Canyons was founded in 2002 by Meher Van Groenou and provides quality care and education for toddlers and preschoolers. Parents appreciate the Montessori Method and style of education and place their trust in the school. The Montessori School at Five Canyons prides itself in providing quality service to students in immediate surrounding towns like Castro Valley, Hayward, San Leandro, San Lorenzo, Dublin, Pleasanton, San Ramon, as well as tri-valley area as far as Livermore and Walnut Creek. School programs include educational activities for Toddlers (18 Months to 2 Years), Preschoolers and Kindergarteners. Along with a strong curriculum, each program includes parent-teacher conferences, school functions, field trips and extra curricular activities. Many social events bring students, families and teachers together to support the community at school. The Montessori School at Five Canyons does not discriminate against applicants on the basis of age, gender, religion, race, national origin, or handicap. 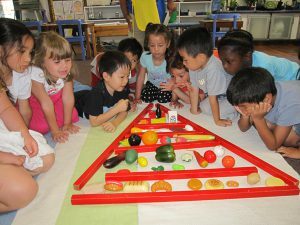 Provide a child-centered, Montessori environment for growth of the whole child. Meet needs of each child in a nurturing ways. Create a harmonious community among children. Our school is in one physical building with five large classrooms, a kitchen, two administrative offices, a staff room and a library. The school is within a fenced one-acre lot that includes a large playground with structures for large motor activities, a garden and green lawns. It is conveniently located in the fabulous new Five Canyons Community off of Five Canyons Parkway. Please Schedule a Tour to visit our facility. We encourage parents to visit our school and observe a classroom to experience first hand the Montessori methodology and principles at work. Please call to schedule at (510) 581-3729. The Analyst further mentioned that she finds that the school meets all requirements and no violations were cited. We are confident that Montessori School at Five Canyons offers an excellent educational experience to children. Our teachers are fully ECE qualified plus have vigorous Montessori teacher training and certification from American Montessori Society. Additionally, all lead teachers have been with us for more than 5 years. Our school’s philosophy includes encouraging children to be independent in caring for themselves, others and the environment. We are proud that our graduates leave our school confident and responsible beings.